The New 'French Village' Puducherry! By Aditi Dasgupta in Travel Tags: Pondicherry, Puducherry, Travel India, Tamil Nadu, Sri Aurobindo Ashram, Auroville, Serenity Beach, French Memorial. 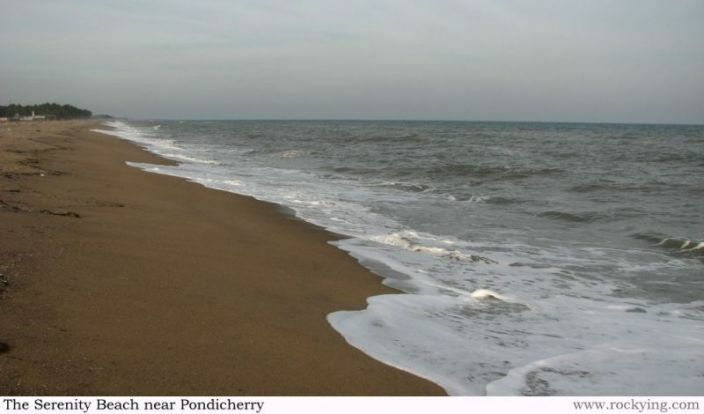 If it is a destination unknown and your next big escapade from piles of work, Pondicherry now called Puducherry (meaning ‘new village’ in Tamil), is your perfect remedy. Rekindle your love, find peace in life or simply sink into this French settler colony for the best reason ever- travelling. A Union Territory of India, this place will give you the perfect nesting solution where you can hibernate for your entire holiday! Sri Aurobindo Ashram, founded in 1920, is where Sri Aurobindo and revered ‘Mother’ spent the most part of their lives. This place is the saddle of peace and harmony. Home to Sri Aurobindo’s ideas of peaceful community, this ashram comprises of many buildings and the inmates are a diversified community of around 1,200 members engaged in various activities like farms, libraries, gardens, and small-scale industries like printing press. A real example of community living Auroville is conceived as an experimental “universal town”. This township is home to people with different nationalities, beliefs and culture dwelling here in harmony. This amazing city of community living was started in 1968 by Maa , ‘the Mother’ (A French lady, Mirra Alfassa)a renowned disciple of Shri Aurobindo. A major attraction here is the Matrimandir, the spiritual heart of Auroville. Washed roads, sun-kissed beaches, this former French colony, will offer the tourist-eye some astounding French architecture. The archaeological site Arikamedu, The French War memorial, Jawahar Toy Museum, Pondicherry Museum, Raj Niwas, The Statue of Dupliex, Botanical Garden and Aquarium, Plage Paradiso, Pondicherry Beach, Mahe Beach, Church of Sacred Heart of Jesus are a few other places to be at, if you have planned a long trip. Rockying says that the best time to visit Pondicherry would be in the months of October to January. Occasional showers and a visible relief from the scorching heat, you would love this place. The roads are perfectly clean and walking alongside the pavement with an umbrella can simply inspire any ungrateful minds as well! The city offers two kinds of accommodation for tourists: beach resorts or city hotels. However, city hotels are preferable if you wish to sink in the essence of a Pondi-city life with humble French-speaking people. However, we suggest do ample research on a stay which is closer to all tourist destinations. Check Hotel Suguru out. Tip: Rockying advises that Pondi beaches are not that safe because of its rocks and steep waves. Therefore, investing in beach resorts might leave a gaping hole in your pocket. Opt for city hotels. Walk around the city and keep a map handy! Things to carry: Easy guide to learning French, camera, slippers, umbrella, a light shawl and a torch. Horse riding in Chunnambar backwaters. At times, it is best to let your mind stray from the humdrums of life. Pondicherry is the place that will leave you with numerous stories your mind would weave even after you are back to work!